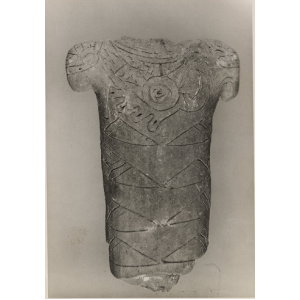 The logo is based on an incise designed found on a human figurine. 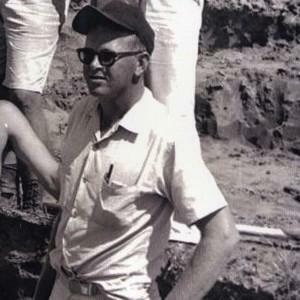 Lewis Larson, who would become the State Archaeologist and first Director of the Waring Laboratory, found the figurine at the Pine Harbor site in McIntosh County, GA in 1953. 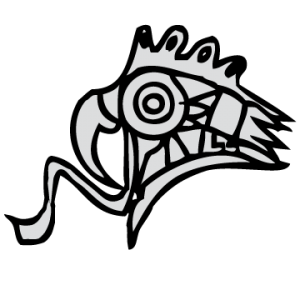 The design is a depiction of a raptorial bird and one of several Southeastern Ceremonial Complex designs found at the Pine Harbor site and in areas surrounding it. Antonio J. Waring’s legacy is largely defined by his scholarly contributions to our greater understanding of this ceremonial complex. The logo is an acknowledgement of this contribution and Waring’s pioneering work along the Georgia coasts in general. The design was sculpted and cast by Henry Setter, a prominent artist who taught at West Georgia. Setter’s cast became the sign that is still mounted in front of the Waring Laboratory today and would be adopted as the lab’s logo in the early 1990’s. The figurine itself, along with other materials from the Pine Harbor site, is curated at the Waring Laboratory.